A whiskered Rhyncholaelia digbyana caught in mid-yawn, no doubt awaiting its nocturnal pollinator. 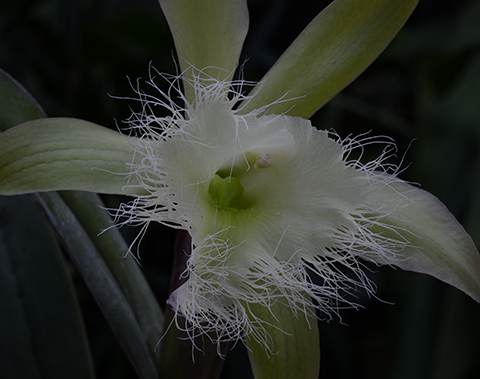 Like many other orchids with a nocturnal moth pollinator, Rhyncholaelia digbyana is night fragrant. The green tongue at the center of the flower is called a callus. 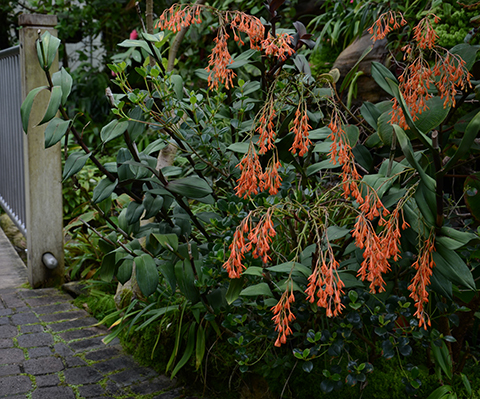 Schomburgkia lyonsii, a lovely Caribbean species, holds a bouquet-like raceme of flowers atop a three foot tall spike. 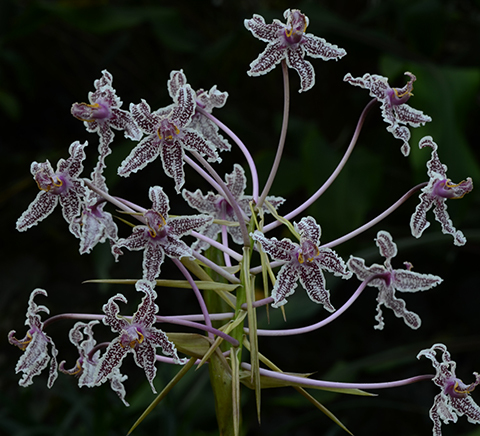 Laelia purpurata var. 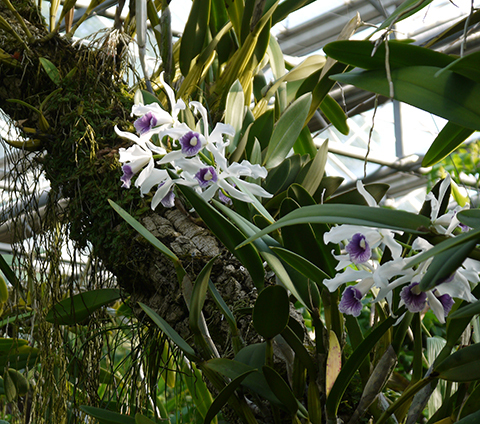 werkhauseri, one of the most sought-after of the purpuratas, is flowering a month early in the Orchid Display House. 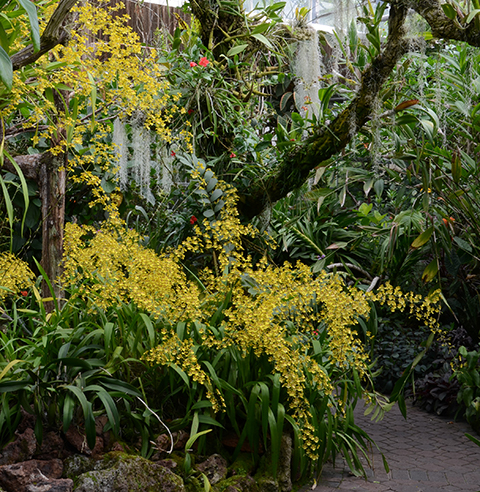 Oncidium spahacelatum ignites the circular bed of Mexican orchid species. Epidendrum embreei flowers almost continuously at the base of the waterfall in the Tropical High Elevation House. 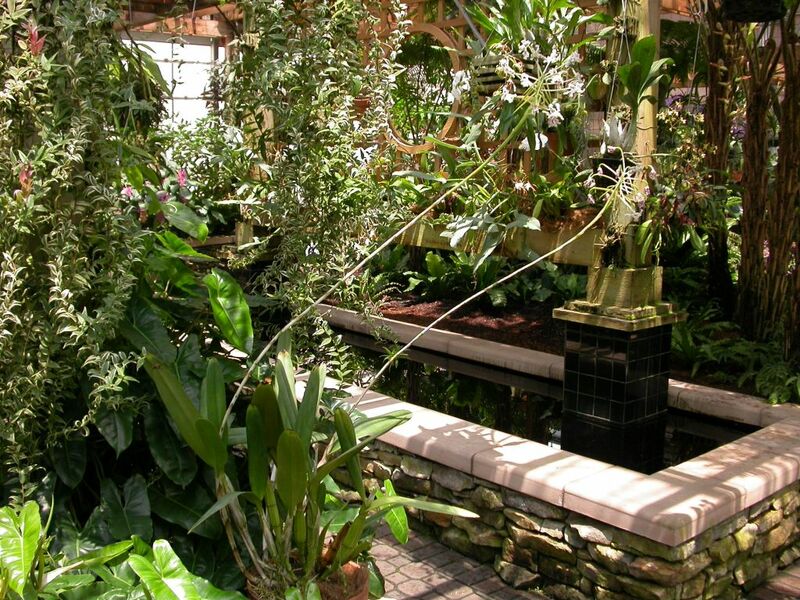 Stop by the Fuqua Orchid Center during Cocktails in the Garden this Thursday evening!